Become a better musician! 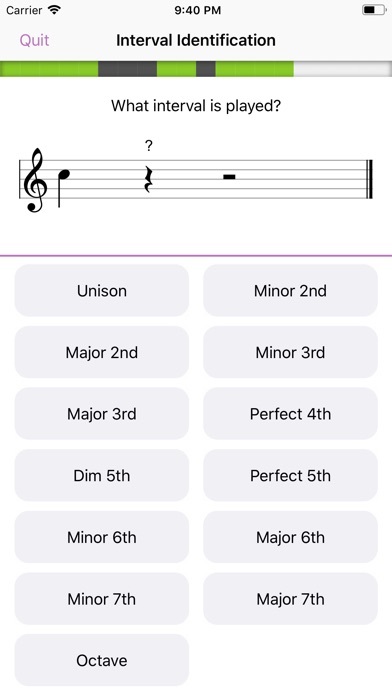 Master the identification of intervals, chords, scales and rhythms solely by hearing them. Earpeggio is an ear training app which lets you improve your musical hearing. Once you are bored with exercising, try taking the tests and see what your limits are. The broad statistics give you meaningful insights on your progress and help you achieve your goals.